Visit the 2017 User Apps Fair! The 2017 User Apps Fair will showcase the best customized applications that utilize Esri technology. 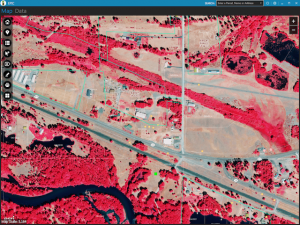 These competitors will present and display their applications at the 2017 Esri User Conference from Tuesday, July 11th through Thursday, July 13th in the main floor showcase area next to the Developer, Online, and Apps islands. As part of the fair, visitors will choose their favorite app and on July 13th, a competitor will be identified as the First-Place winner. Submissions poured into Esri at the beginning of April until the deadline hit June 16th. 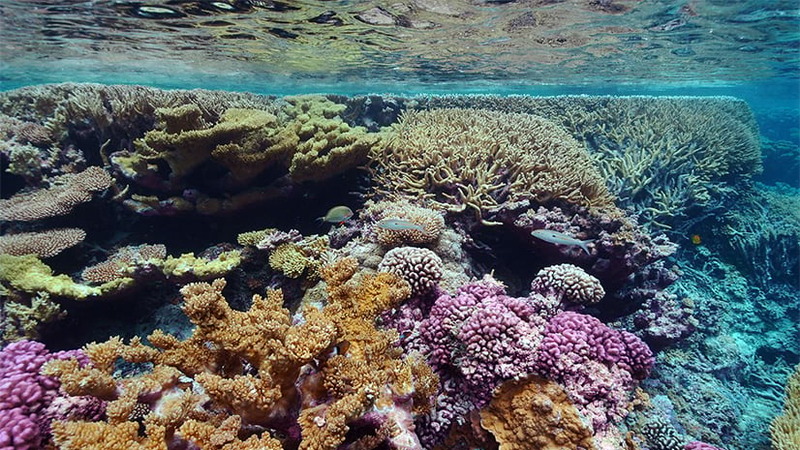 After a very competitive selection process, eight finalists were selected by a panel of Esri judges. The following applications are the eight finalists competing in the 2017 User Software Applications Fair. 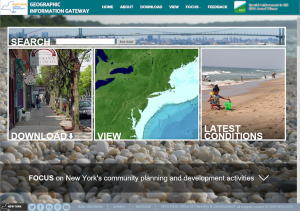 The Geographic Information Gateway (Gateway) is a one stop, state-of-the-art website providing public access to data, real-time information, interactive tools, and expert knowledge relevant to the Office of Planning and Development’s activities throughout New York State. 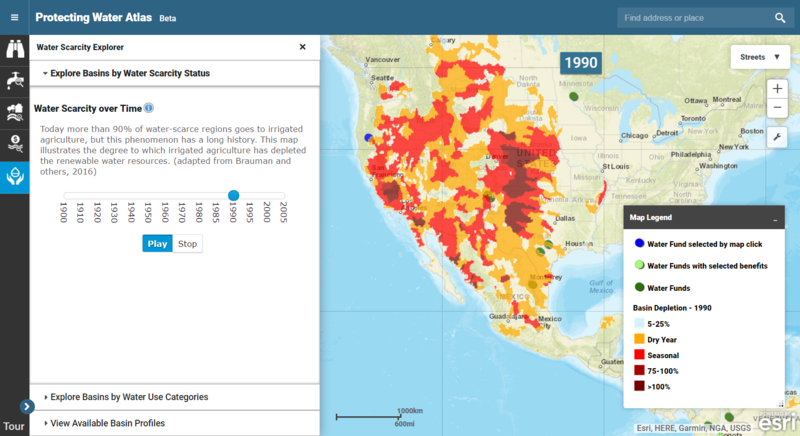 Interactive map viewers let users easily download, visualize, and explore geographic data. This is a Windows Presentation Foundation (WPF) application that runs on either Windows Desktops or tablets to collect and manage Noxious Weed inspections for EPIC’s Noxious Weed Board. This application is used in a connected environment in the office, but can also run disconnected in the field on a tablet. Changes are synchronized with the server when back in the office. 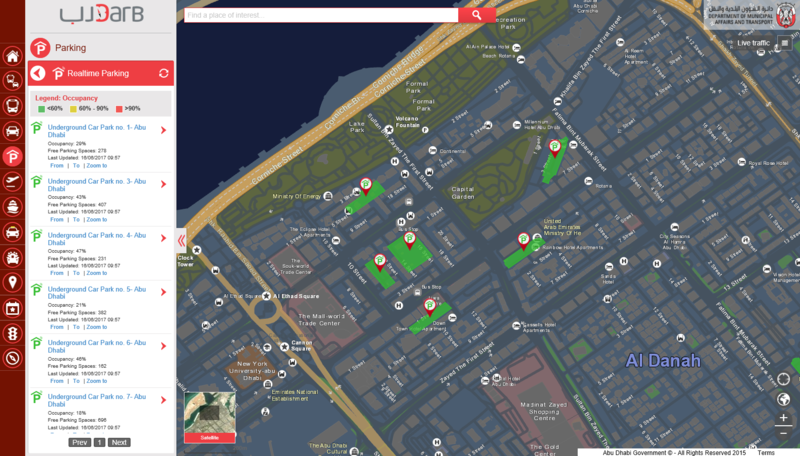 All historical inspections can be queried by parcel, new inspections added/updated/deleted in both offline and online modes, and points can be added to the map to represent how plants were eradicated. 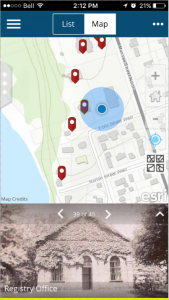 The Haldimand Connections app highlights local history of Haldimand County in an interactive an intuitive way using AppStudio for ArcGIS. 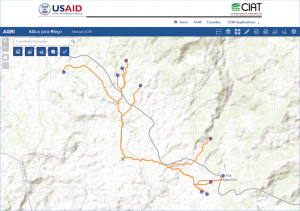 AGRI-Honduras Online is a web GIS application used to identify potential sites for tapping river water or to carry out rainwater harvesting projects as supply for smallholder irrigation systems. PHIT Communities allows lets users map small area estimates for chronic disease risk factors and health outcomes for the largest 500 cities across the U.S. To address areas of need and development of population health improvements plans, PHIT Communities also includes data on clinical preventive services, healthy life-style choices, and access to primary and preventive care to help guide local decision making. 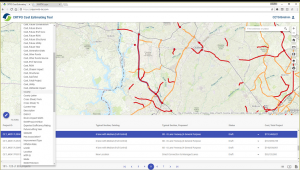 The Charlotte Regional Transportation Planning Organization (CRTPO) created a unique approach to developing and estimating roadway and intersection improvements using a web map and a series of geoprocessing services. 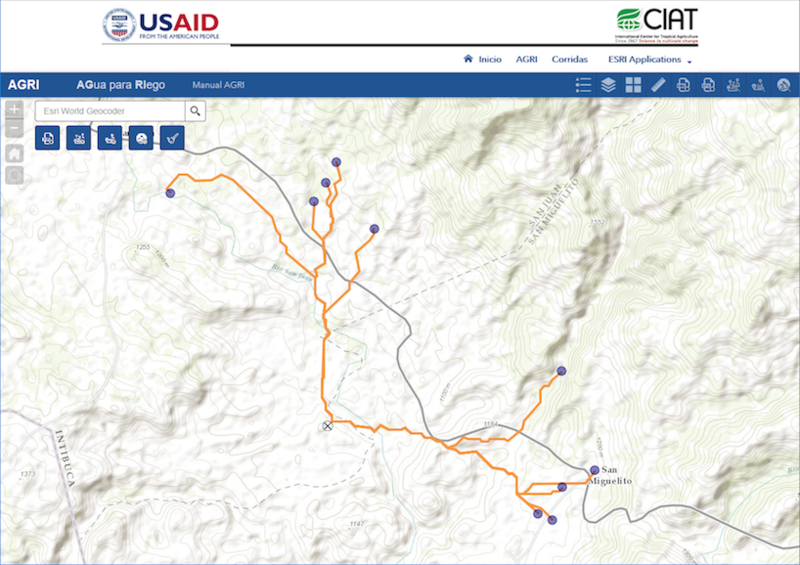 Authorized users use an intuitive, user-friendly map to draw a potential project as a line or point. Users are then required to enter the ‘Existing and Proposed’ typical section of the potential project, along with several optional attributes. 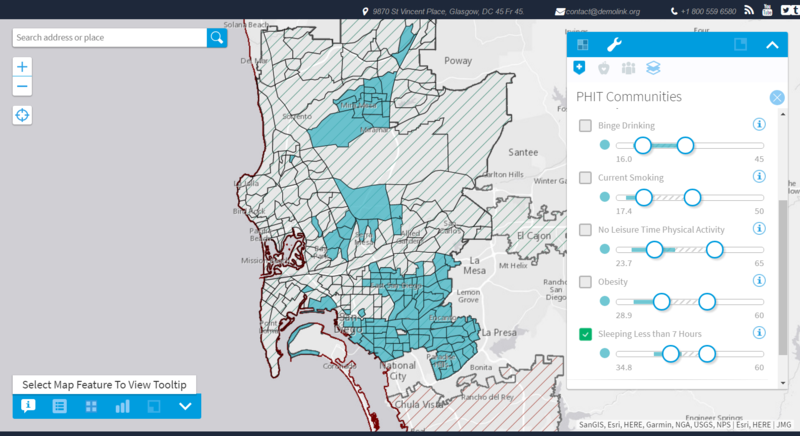 Using just 2 variables for designating typical section, the web application invokes a geoprocessing service that buffers the project and analyzes a variety of geospatial layers for potential impact and cost estimation. Upon reviewing the results, the user can modify the geometry, the Existing or Proposed typical section, and even change the letting year and inflation rate. 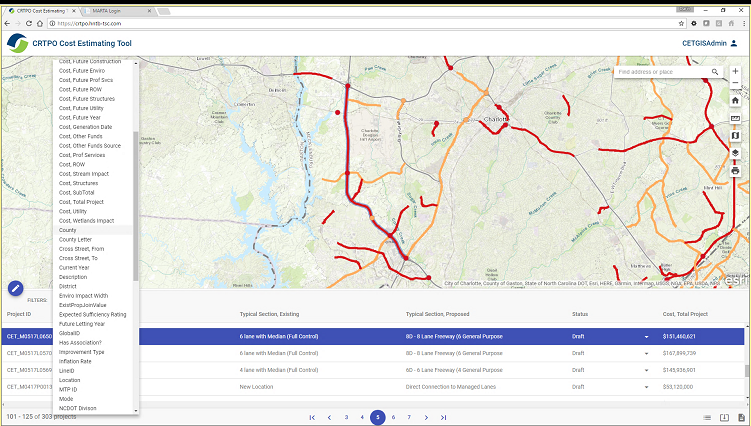 The CRTPO initially developed the application to estimate the roadway projects in their 2045 Metropolitan Transportation Plan (long range transportation plan update) then for other planning level roadway efforts in the future. The application is available from the agency’s enterprise GIS and ArcGIS Online integrated environment. 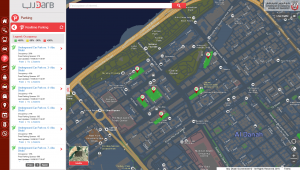 DARB is an interactive map that provides users with all the information they may require about their itinerary whether by Air, Land or Sea, throughout the Abu Dhabi Emirate. 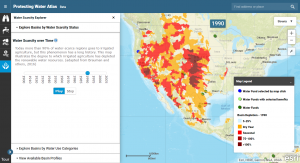 The Protecting Water Atlas lets users explore data and analyses that underpin The Nature Conservancy’s global-scale reports, Beyond the Source: The Environmental, Economic and Community Benefits of Source Water Protection, and Water Share: Using Water Markets and Impact Investment to Drive Sustainability. 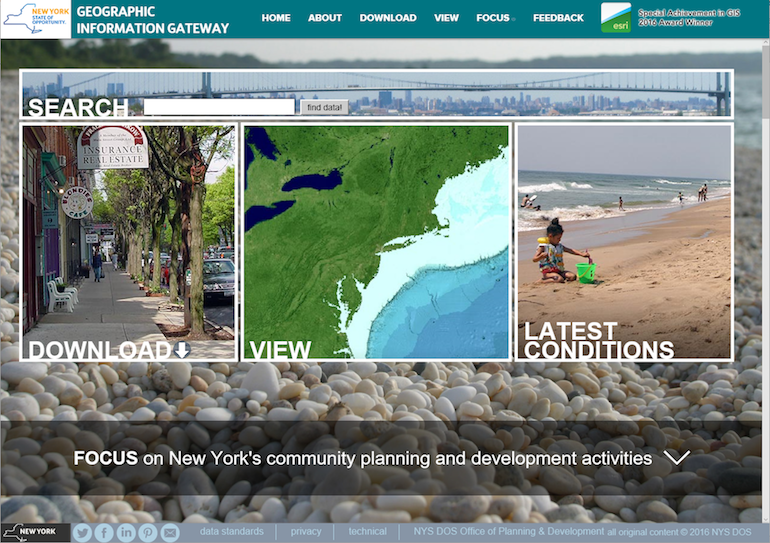 This mapping site is part of a family of spatial decision tools supported through the Natural Solutions Toolkit. 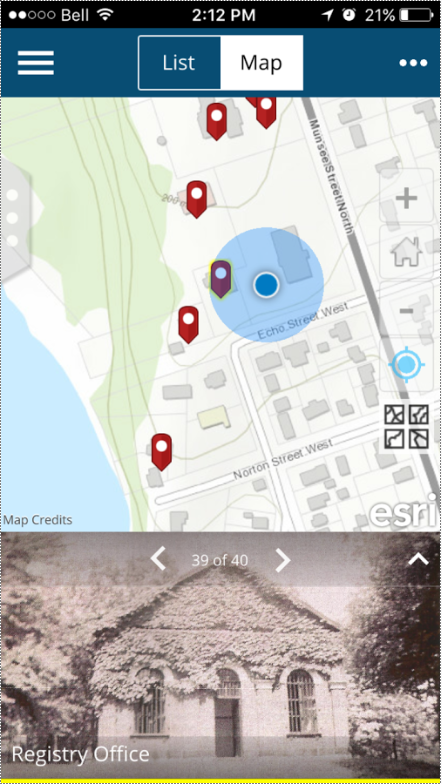 All eight of these incredible applications created by Esri users will be at the 2017 User Conference as competitors in the User Apps Fair! After the User Apps Fair, check back for a follow-up blog with links to the apps. We can’t share the links yet because some aren’t public, and we want to ensure a level playing field. If you’d like to learn more about the apps, talk to the authors and developers, or use the applications yourself, visit the 2017 User Apps Fair located in the main floor showcase area next to the Developer, Online, and Apps islands from Tuesday, July 11th through Thursday, July 13th. Senior product marketing manager at Esri and team leader for the ArcGIS Apps team. Product and digital marketing professional. US Army Veteran. I’m an energetic, ambitious, and dedicated marketing professional with over eight years of proven marketing experience and nearly a decade in leadership roles. I'm passionate about all things marketing, but more specifically, data-driven technology and software marketing, communications, consumer behavior and decision-making, and customer relationship management.